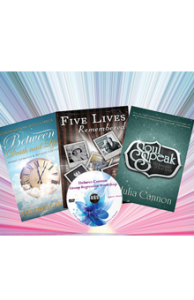 Dolores Cannon began to delve into past life regression by using her unique method of hypnosis she developed over many years now known as Quantum Healing Hypnosis Technique℠(QHHT®). 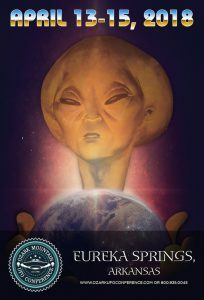 In the 1980s, Dolores was asked by a group of UFO researchers at the Mutual UFO Network (MUFON) to use her hypnotherapy skills to investigate a possible case of an Alien Abduction, launching her on a new path of exploration into the ET and UFO phenomenon. When Dolores first started to explore metaphysics by using past life regression, she found willing subjects in the town of Eureka Springs, where a group of like-minded people gathered to explore such studies. Her research into life after death and her extraordinary work with Nostradamus was brought about through a seemingly chance encounter with a woman who was student of the great psychic himself in a past life. At the time, hypnotherapy was just beginning to be used to regress people who had Missing Time after experiencing a UFO sighting. Situated in the verdant Ozark Mountains of Arkansas, Eureka Springs has long had a reputation as a place of rejuvenation due to the healing properties of the area’s mineral springs, dating back to the Native Americans who originally inhabited the region, who also believed it was a place of great power. The Victorian era town that was later built to take advantage of these springs also became known as a center of paranormal activity, which made it the perfect location to host The Ozark Mountain UFO Conference after renowned Ufologist Lucius O. Farish founded it in the 1980s. Dolores’s first UFO case was a resounding success. At the request of the local MUFON chapter, she adapted her QHHT® method to keep the subject in her present life to remember an Extraterrestrial encounter she might have had but was made to forget. Despite doing the regression before a group, which Dolores called The Goldfish Bowl effect because it was done in public instead of her preference for privacy, she achieved spectacular results. The subject recalled the entire encounter, and came to realize its greater purpose. No one had been able to achieve such positive results before because Dolores’s method works in the deepest level of trance, known as the somnambulistic level, where the emotion of fear is transcended to reveal the truth behind it. 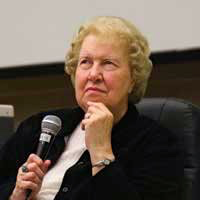 Dolores Cannon continued to lecture and work with other investigators at the Ozark Mountain UFO Conference and became its Director in 2013. 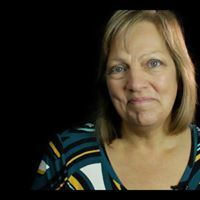 As always, we will honor her incredible contribution to the study of the ET/UFO phenomenon at this year’s conference, and we know she will be with all of us there in Spirit. The 31st Annual Ozark Mountain UFO Conference will take place April 13-15, 2018 at the Best Western Inn of the Ozarks Convention Center in Eureka Springs, Arkansas. I love all of the stories about Dolores cannon. I feel like I have become a toddler to chase a beam of light coming into the dark room.